Conscientious Objector Diego Fernando Blanco López from Colombia has been illegally recruited by the Colombian army, despite his right to postpone as a student. He is currently being forced to serve in the Grupo de Caballeria Mecanicado No 4 Juan de Corral of the Colombian Army in Rionegro, Antioquia. Israeli conscientious objectors Tamar Alon and Tamar Ze'evi, who declared their refusal to serve in the IDF and take part in the occupation on 16th November 2016, were freed after each spending more than 100 days behind bars. The Georgian Ministry of Defense (MoD) reintroduced compulsory military service, which had been abolished several months ago by the former Minister Tinatin Khidasheli. This was an expected move by the current Defence Minister, Levan Izoria, who announced his plan to reintroduce conscription in November 2016. The Ministry of Defence in Croatia considers reintroducing compulsory military service, which was “suspended” in 2008 following high numbers of applications for conscientious objection by young people. In December 2016, the Defense Minister of Taiwan, Feng Shih-kuan, announced that 2017 will be the last year young men will be required to serve in the military and that by 2018 military conscription will be abolished in the country. 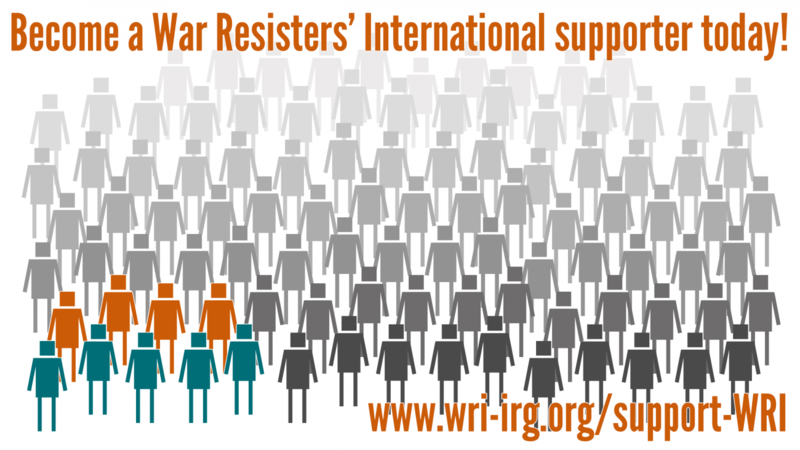 WRI has been working with former soldiers from Rwanda and the German campaigning group Connection e.V.. In December 2016, we published a report exploring the experiences of former members of Rwandan armed forces, especially the barriers they experienced in leaving the army over the past decade. In this issue of the CO-Update, we would like to share with you an inspiring story from 2003, which we think worth re-sharing and remembering. We are aware of many protests that took place across different countries to avert Iraq War in 2003. Former Maoist child soldiers in Nepal, discontent with the Communist Party of Nepal (CPN or Maoist-Centre) for discarding them unceremoniously during the peace process, locked party leaders at the CPN office in Kathmandu. During their action, at least seven party leaders were locked in the building when the main door was padlocked.